“Mauer Mob. 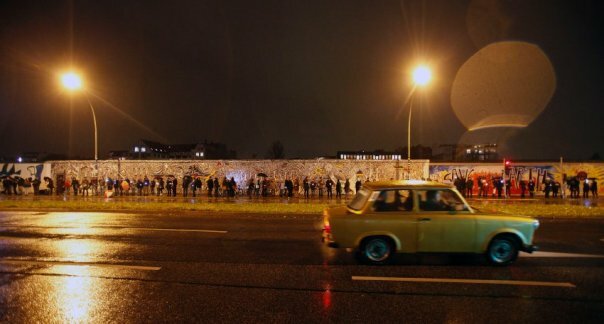 2009 – Recreating the Berlin Wall” was a large scale art project in the frame work of the 20 year anniversary of the fall of the Berlin Wall, in Berlin. 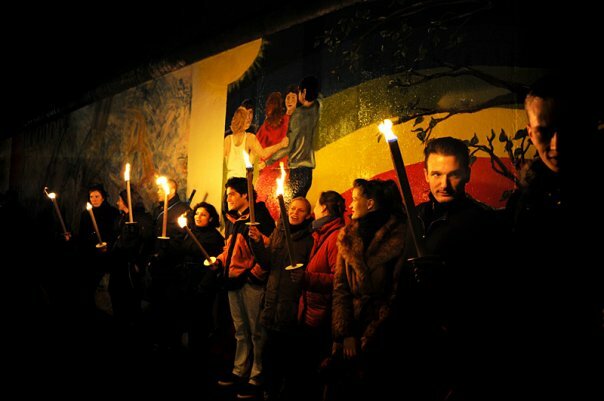 The idea was to form on the 9th of november 2009 – the night the Wall fell 20 years ago – a line of people that recreated the Berlin Wall with their physical presence, marking the path where the wall once stood. 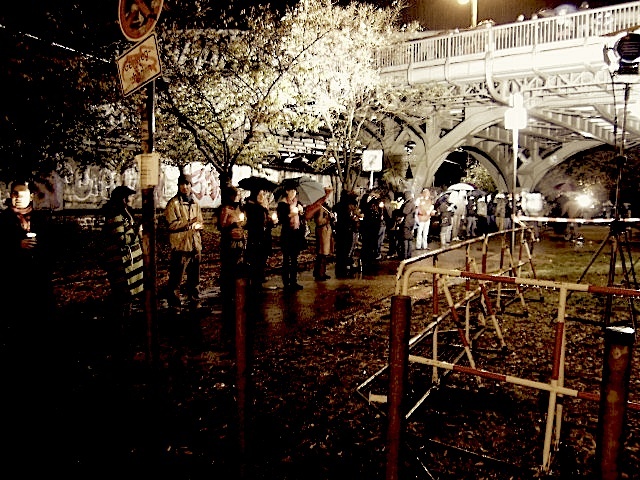 Approximately 10,000 people formed a human chain that made its way on the 9th of November around 8.15pm. This action lasted for 15 minutes. 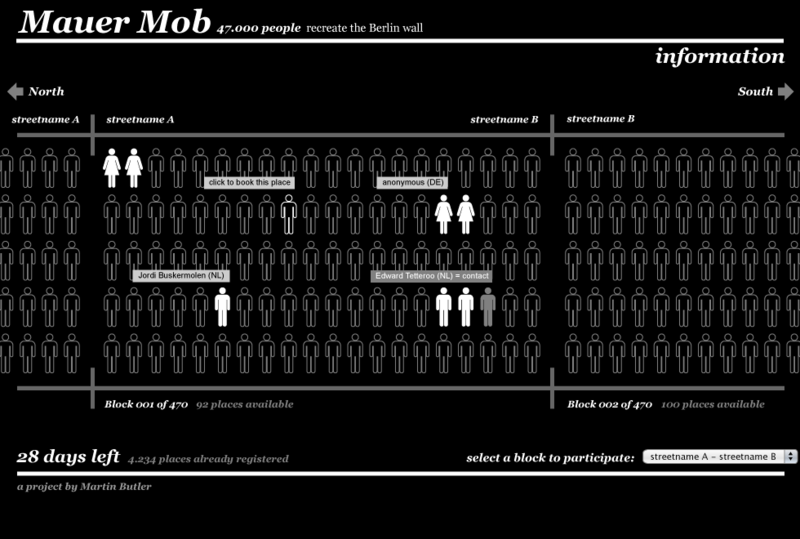 The “Mauer mob” project was about creating a “temporary monument of reflection”. When it was created, the wall was one of the clearest man-made divisions of people with different ideologies. For the 20th anniversary of its deconstruction I wanted rebuilt the Berlin Wall, not from steel and concrete, but from people. 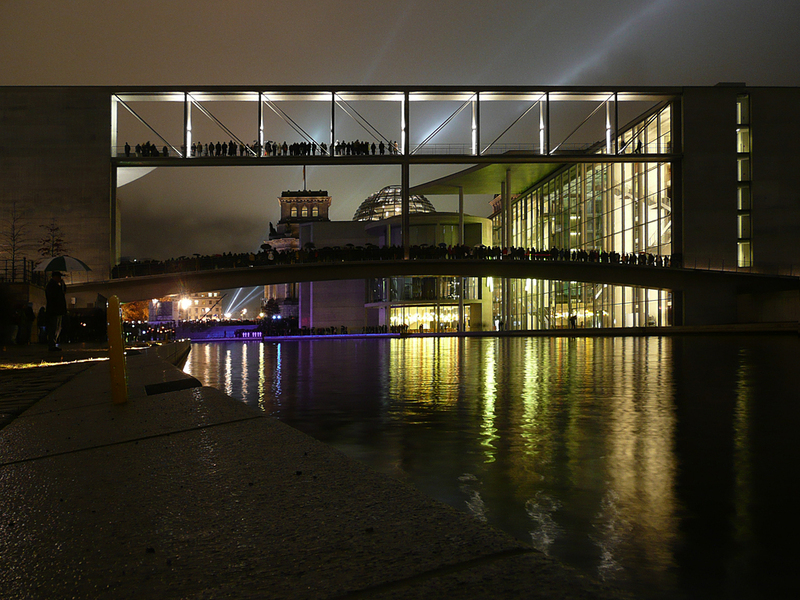 To remember when Berlin became one again after decades of separations – physically as well as in the minds. To offer a platform for people young and old, east and west, national and international, to express their own feelings about the barriers.. for people to come together and making something together.. to reflect together in their own personal way. With the “Mauer Mob. 09 Project”, we wanted to say that such divisions are no longer acceptable in today’s society. The pathway of the wall was divided into 330 sections on the website, which gave links to Google maps, so people could choose themselves where they wanted to stand, and in which group of 100 people along the route. The project offered a platform for people individually to commemorate or reflect upon the fall of the wall, rather than offering something on their behalf. There was a sense that if we want this to work, we have to do it together, each person was important in the chain as the next.